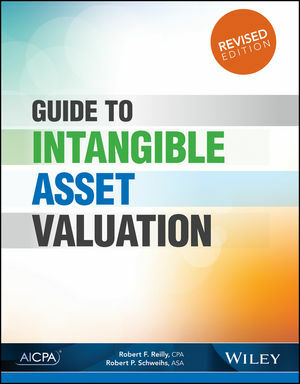 The highly experienced authors of the Guide to Intangible Asset Valuation define and explain the disciplined process of identifying assets that have clear economic benefit, and provide an invaluable framework within which to value these assets. The Guide to Intangible Asset Valuation delivers matchless knowledge to intellectual property experts in law, accounting, and economics. This indispensable reference focuses strictly on intangible assets which are of particular interest to valuation professionals, bankruptcy experts and litigation lawyers. Through illustrative examples and clear modeling, this book makes abstract concepts come to life to help you deliver strong and accurate valuations. Robert F. Reilly is a managing director in the Chicago office of Willamette Management Associates, a business valuation, forensic analysis, and financial opinion firm. Prior to joining the firm in 1991, he was a valuation services partner for accounting firm Deloitte & Touche. Robert specializes in the valuation of businesses, securities, and intangible assets for transaction, taxation, accounting, financing, and litigation purposes. He also specializes in economic damages analysis, license and other royalty rate analysis, and intercompany transfer price analysis related to intangible assets and intellectual property. He is a CPA, chartered financial analyst, certified management accountant, and chartered global management accountant, and he is accredited in business valuation and certified in financial forensics. He is also a certified business appraiser, certified valuation analyst, certified valuation consultant, certified review appraiser, certified real estate appraiser, and state-certified general appraiser. Mr. Reilly serves in an editorial capacity for several professional journals, including Valuation Strategies, ABI Journal, Journal of Accountancy, and Construction Accounting and Taxation. He received his BA in economics and his MBA in finance from Columbia University. He is an inductee into the AICPA business valuation Hall of Fame. Robert P. Schweihs is a managing director in the Chicago office of Willamette Management Associates. Before joining the firm in 1991, Bob was a partner and national director of valuation services at the accounting firm Deloitte & Touche. Bob’s practice includes intellectual property valuation, economic damages, and intercompany transfer price analyses. These analyses are performed for both transactional and notational purposes and relate to license royalty rate estimation, purchase accounting, financing, securitization and collateralization, joint venture formation and transactions, taxation planning and compliance, not-for-profit entity regulatory compliance, structuring commercialization and exploitation programs, and infringement claims and other types of commercial litigation matters. He has testified before federal, state, and local courts. Bob holds a BS in engineering from the University of Notre Dame and an MBA in finance and economics from the University of Chicago Booth School of Business. He is an accredited senior appraiser designated in business valuation and a certified business appraiser.